Immerse yourself in railroad history all the livelong day! An icon of the Industrial Revolution, railroads were essential to the progress of the nineteenth and twentieth centuries. Today’s trains travel at speeds up to 268 miles per hour, and the limits continue to be pushed. 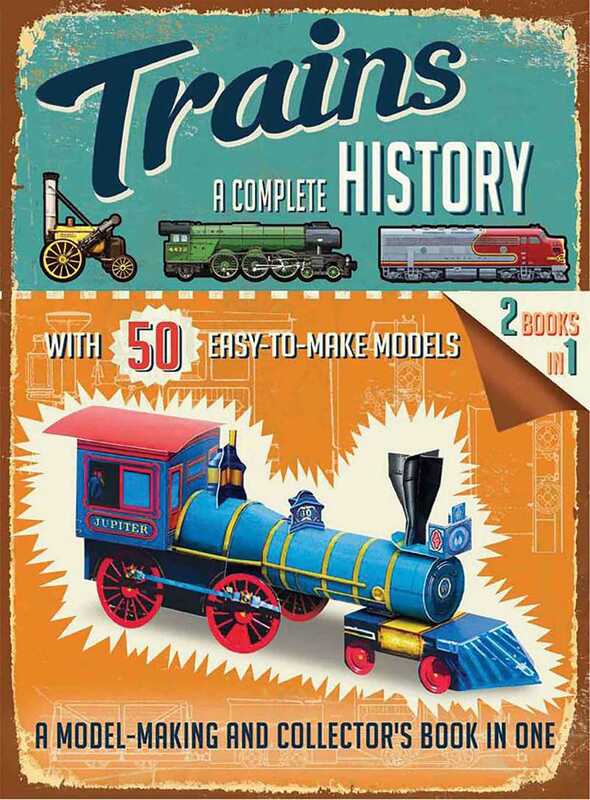 Trains: A Complete History provides an excellent overview of the train models that were groundbreaking in their respective eras. The scope of progress comes to life on these pages—from the 1830 Best Friend of Charleston, whose passengers were to said to have traveled “on the wings of the wind” at a whopping top speed of twenty-five miles per hour, to the 2012 hybrid-powered Japan Railway HD300, which uses 36 percent less fuel than traditional trains and travels at speeds up to seventy miles per hour. Philip Steele worked for the Hodder group, Hamlyn, and Macdonald Educational where he edited children’s information books. In the 1980s, he set up as a freelance writer and publishing consultant and has been writing ever since. He has written numerous titles on history, the natural world, social issues, and lands and peoples. Well-known series and publishers Philip has written for include DK Eyewitness, e-encyclopedia, Kingfisher, Franklin Watts, and National Geographic. Philip is based in the UK.